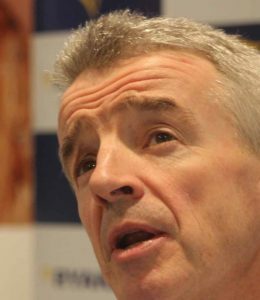 Ryanair has signalled its move into the more competitive French, German and Scandinavian markets with a new set of customer guarantees designed to win market share and convince former passengers to return. Designed to replace the three year Always Getting Better programme, Ryanair’s ‘More Choice, Lower Fares & Great Care’ programme has been launched offering a grace period of 48 hours for the first time. The grace period is still relatively rare in aviation, with SAS Sacnindavian one of the few airlines to offer one. Kenny Jacobs said: “Ryanair will carry 152m customers this year who will enjoy these latest improvements including lowest price and punctuality promises, our Customer Care Charter, new Ryanair Choice membership, and this Summer many will enjoy our new Boeing MAX “Gamechanger” aircraft with more legroom and bright new interiors.